Your website should be the hub of your business. If you’re developing a new website, or have an existing website that needs a bit of TLC, we’ve compiled a list of website development essentials you should be considering in order to make the most of your time online. 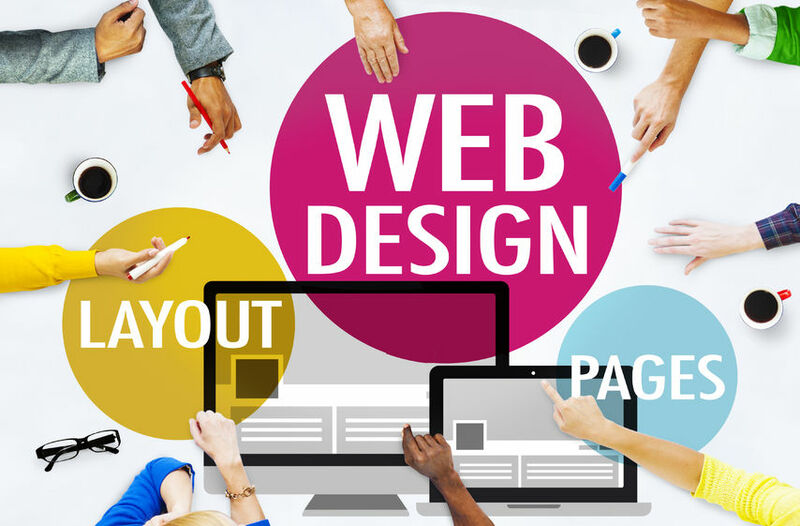 We bet the first thing you’ll be thinking about when it comes to your website is the design. Imagery and design is important to create an attractive online space for your users to browse. Make sure you pass on any logos, brand imagery, product shots, or professional photos onto your website developer. These could be brand new, or you could update older ones on your website to give it a fresh look. When it comes to the design of the website itself, you’ll have a few options. You can go for a full custom website which is designed from scratch by your website development company to ensure maximum lead generation through call to actions and carefully placed sales funnels. These usually cost a little more, but will ensure a unique website with all of the functionality and features you’d expect to then receive a return on your investment. -Usually if you go for a cheaper option such as a template or free website service, it will cost you dearly in the long run from losing valuable sales leads and you will end up needing to do it properly anyway. You can also opt for a template website, where the developer already has a series of templates ready to go, and will build your website around the structure of your chosen preference. A good developer will have a few they have pre-prepared for businesses they often work with, and can customise these to look completely different for each client. You’d never know it was the same template! Mobile now represents over 65% of all users. It is essential to have a website that is mobile and tablet responsive as this is where your users will likely be searching for you from. If your developer can’t provide a website that is mobile responsive, we suggest you look elsewhere. Now is the time to upgrade if you haven’t already. Also ensure your website developer checks for cross-browser functionality too. This means the fonts, colours, images, navigation and layout will look correct no matter what device, browser or operating system they use. You may also want to add e-commerce features such as shopping carts, RSS feeds, and web forms to your site. These features can make it easier for your potential clients to contact you and purchase from you. Your ultimate goal is to get your users to click through and contact you or purchase a product or service. Content is extremely important in any website development process as it can encourage your user to stay on the website for longer and also persuade them to act how you’d like them to. Your web developer should be able to provide copywriting services for your website. This means it’ll be written professionally, optimised for search engines, and engage the users. It’s important to understand that web-crawlers and Google bots crawl websites daily. Advertising, SEO, regular website updates in the form of blogging, and the correct structure of HTML and SEO in the background helps these bots see that your website is alive and that you can help people find what they are searching for online. Don’t forget that online marketing is a continuous process. After your website is up it’s a smart idea to invest in the blogging, SEO, Google AdWords, re-marketing, or landing pages that help with traffic, brand awareness and ultimately boost sales. If you need a new website, have an existing website, or need advice and friendly help to understand your current website, marketing strategy and how to get from A to B, contact BMC Solutions today by calling 08 6245 1290 or fill in our contact form for an obligation free meeting. We’re located in Perth – Book a complimentary meeting.